It feels like there is a growing momentum, a realisation especially amongst women, who have had their babies, far away from home, and who feel exhausted and depleted, still. That they needed more support postnatally and had they known they would have rested more. Many of them fill the ever burgeoning ranks of postnatal doulas who just want to make sure that other women get the support they needed, although they didn’t realise it at the time. Please hire us! I think most of us are victim to a ‘I can cope’ mentality, money might be tight or money might be flowing but we all think we saw our mothers manage so why can’t we? Why this determination for martyrdom, why this lack of self-care? We need to model behaviour to our children which holds motherhood in great esteem. The ordeal (in the traditional medieval test sense) was the birth, the postpartum is where you rest, you have returned from the hunt victorious, bask in your glory. You created a small human, you may even have looked death in the eye. In many more traditional cultures, i.e. those who have held onto many traditions despite the ravages of colonialism etc. 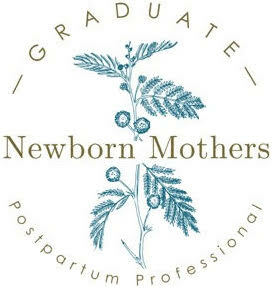 Postnatal care for mothers is non-negotiable. It’s not just something for mothers who can’t cope, who are perceived to be weak in some way, it is for all. It’s not just for the rich, it is an essential even for the poor, though it may be less elaborate, it is still for all. Ysha Oakes, renowned Ayurvedic Doula and educator’s famous phrase ‘40 days for 40 years’ is as valid today as it always has been. The Moroccan phrase the ‘tomb is open” for those first forty days tells it like it is. In Mali even when people are poor the husband still pays for postpartum care, he knows that it is an investment. Tradition says that if his wife has time off now, and builds up her strength she is less likely to be ill later. It’s still simple economics in that it is probably less expensive to look after the mother well for those forty days than it is to have an adult who cannot work or dies leaving him with children to bring up alone. Just because the stakes are higher there, doesn’t mean that they don’t apply to us here, where things are safer and there are more safety nets. We are still women having babies. Enough of the scary stories. Part of the reason for the importance of postnatal care is that it is a fantastic opportunity to take advantage of the amazing brain plasticity which is at the heart of the period. If we understand that our brains are like a filing cabinets that have been tipped all over the floor, files are everywhere, no wonder you have no idea where the keys are. We may all hate the idea of baby brain which can be quite debilitating, but only because we are too busy trying to do tasks that the brain is not meant to be doing, we are fighting evolution. Obviously this is contentious and we don’t want to let the structures of power i.e. men know that we might be functioning below par for normal day-to-day activities of the world, so instead we get out in the world and show everyone, then just feel silly because we are crap at stuff, and, thus perpetuate the very societal beliefs we are trying to overthrow. Why not venture into the sanctuary of metamorphosis and emerge as super women? There is such opportunity for brain plasticity. In experiments with female rats they found that mother rats had greatly enriched brains over virgin rats. By letting the oxytocin flow, surrendering to being loving to yourself, resting, staying warm, enjoying peace and quiet, breastfeeding baby, having massages, letting yourself be loved and cared for the brain rewires for love. As opposed to sabotaging it with exhaustion, poor eating, too much maths from schedules and tables, arguments, stress, feeling neglected, dependant and even the wrong visitors. Bonding with children and baby is enhanced by oxytocin and will make a vast difference to your confidence in being a mother, not just fulfilling surface needs but by being the mother your children need. It makes you better able to read non-verbal cues and this is the best one by far – more able to tolerate boredom. Spoiler alert being a mum can be boring, but in an oxytocin bubble you will find yourself more accepting of this. I personally neglected myself a bit and didn’t have a wide circle of support and I found on occasion the boredom sometimes overwhelming, which lead to frustration, feeling trapped and then inevitably depression. You don’t want to miss any but you can’t stand it anymore, then the mum guilt that flows for even feeling this way for a moment. Sorry I said no more scary stories. So allow yourself an essential luxury. If it’s a financial objection work out how you can afford it? Be imaginative, save up and plan, save during your pregnancy. Perhaps you were able to save for a wedding, that was a decadent luxury, the postnatal period is just as important, and probably costs far less. Personally I am going to recommend that young women start investing and saving as soon as they start working, a concept that was not ever even on my radar, save up so that you can make the choices about your postnatal care, so you have independent income and you can decide when you go back to work. If you don’t have children, well take a bit of time off anyway and have some fun. That would be my dream, say pah! to retirement policy’s and superfunds let’s see those postnatal plans for your Super-Postnatal. We are all about living our best lives and being our best selves, this is one of the ways. Thanks for reading, this was a bit more of an opinion piece than I normally write, but with this work there are just so many ideas and concepts, I am still finding my own way and discovering what I really believe. Please leave a comment I would love to hear what you thought.